Rome, Tours & Excursions appian way, circus maximus, Colosseum, culture, etruscan, hadrian, hardpan's villa, Hidden Gems, history, italy travel, lazio, Ostia Antica, Rome, Rome tours, Sistine Chapel, tarquinia, tivoli, Travel ideas, Travel Tips for Italy, Villa d'Este. permalink. With over 3000 years of history Rome is the perfect destination for a cultural getaway. The headline acts of the Colosseum, St Peter’s and the Sistine Chapel are perennial favorites. But if you fancy getting off the beaten track, away from the crowds, there are plenty of other absolutely fascinating places to explore, each adding its own chapter to Rome’s story. Here are a few of our favorite Rome tours to inspire you and to enjoy on your next visit to the Eternal City. Rome is packed with wonderfully interesting districts, but many visitors pass through on their way to other destinations without stopping to explore along the way. The Jewish Ghetto is a case in point. As the second oldest ghetto in Europe after Venice, the district bordering the River Tiber was created in 1555 to control the community. At the height of the ghetto it housed over 3500 citizens and protected their religious customs, although other freedoms were restricted. Fortunately today, after 300 years of isolation the walls to Rome’s Jewish ghetto have long been demolished and the area is now a lively, vibrant spot hugely popular with Romans and perfect for Rome tours. And there is so much to discover. 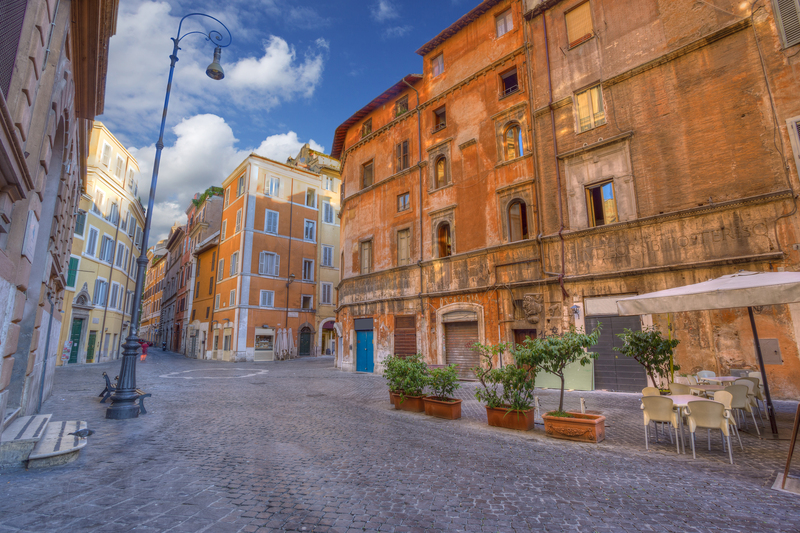 From the delicious kosher delicatessens and restaurants of the ghetto’s main street, to the ancient Roman Porticus Octaviae, built by Emperor Augustus for his sister Octavia to the beautiful Great Synagogue on the banks of the river you’ll explore this area with a expert Rome tour guide who can unravel the centuries of history for you. It’s a wonderful way to discover one of the city’s most important but least known historic districts. Indeed Rome has been home to religious communities since ancient Etruscan days, long before the Jews or Christians arrived. 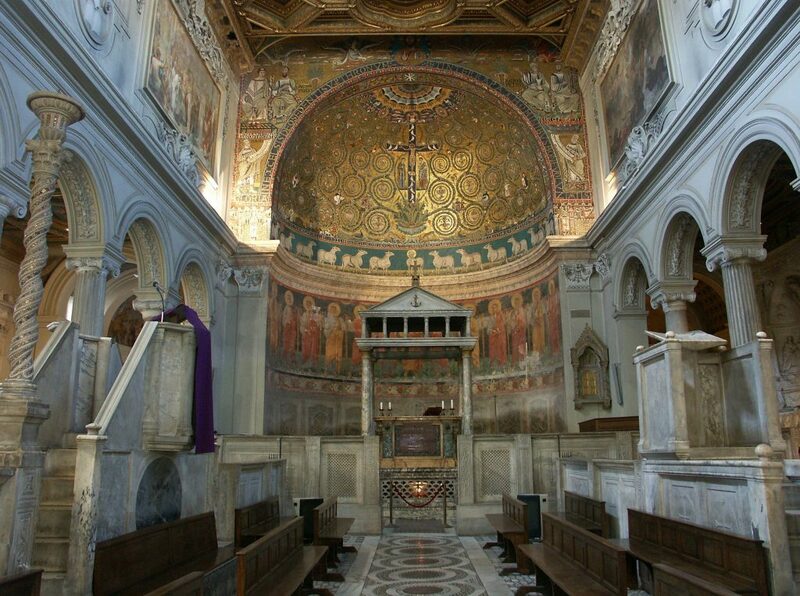 Catacombs, churches and chapels dot the city but to understand how the earliest citizens worshiped, you need to explore with one of our underground Rome tours. That’s because, unlike many civilizations, Romans used previous buildings as the foundations for new ones so the city is a historic layer cake; the deeper you dig, the earlier you go. In fact there are probably as many monuments hidden underground as there are above so there is plenty to discover on this Rome tour! Starting at the 4th century Basilica di San Clemente you can admire the stunning mosaics and frescos of the church before travelling back in time as you descend first to an early 4th century Christian chapel and then to a 1st century pagan temple. 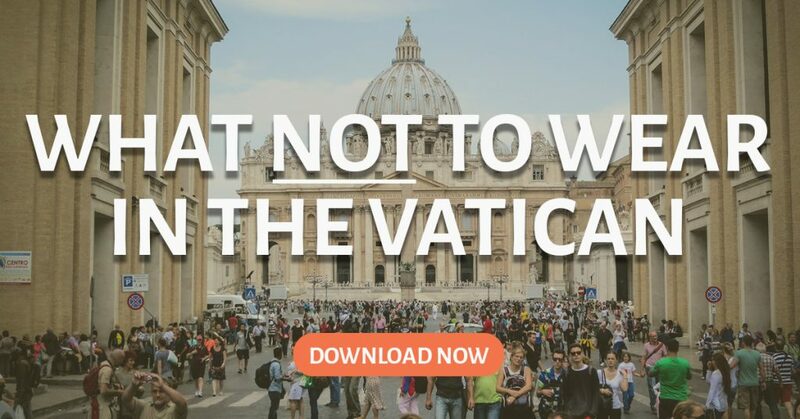 This one site has over 2000 years of history, religion and art but that’s not all. A visit to the enormous catacombs of Domitilla brings to life the funeral rituals of the earliest Christians whilst the final call to the Appian Way, one of Rome’s first roads, enables you to follow in the footsteps of Caesar and centurions alike. This is Rome as you’ve probably never seen it before. If Roman history is your bag, a visit to explore the Appian Way in more detail is definitely recommended. Known as the Queen of the Roads and built over 2300 years ago the route was one of the earliest and most strategically important in the Roman Republic. It linked the capital with the southern port of Brindisi and was a major thoroughfare for military supplies and traded goods. And in its day a fascinating mix of luxurious villas and monumental mausoleums for the elite of Rome lined it so today the Appian Way is a wonderfully unique archaeological window into Roman life for visitors to explore. 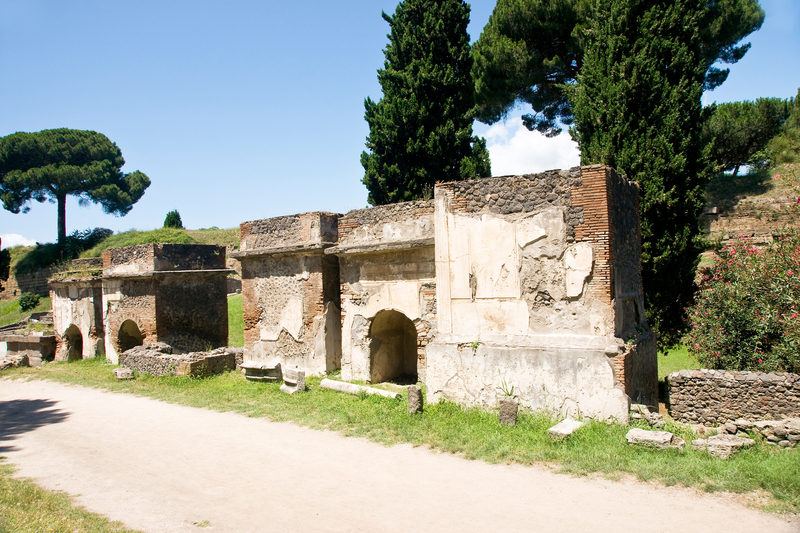 But for a truly unique view of the ancient city, you can’t miss an exclusive tour of the Mithraeum of Circus Maximus. The ancient temple is one of the largest in Rome and lay hidden next to the famous Circus Maximus, one of the most famous ancient racetracks in the world, for centuries until it was unearthed in 1931 during building works. The subterranean space, normally closed to the public, was once dedicated to the mysterious male-only cult of the god Mithras popular between the 1st and 4th centuries and is said to have heavily influenced early Christians. Indeed some of our Christian holidays are shared with Mithraism with December 25th celebrating both the birth of Mithras and Christ. Your guide will take you through the small, intimate rooms of the temple that saw secret ritual, prayer and sacrifice for centuries and it’s a fascinating insight into how religion and culture combined. 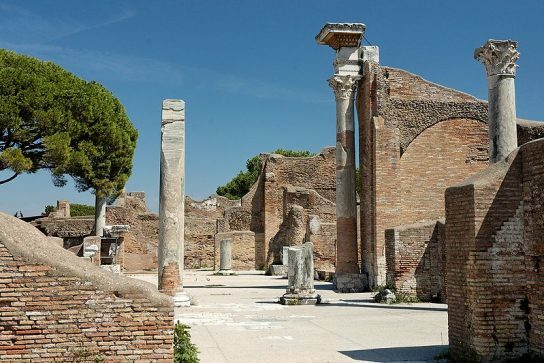 If you’re looking to escape the heat and hubbub of the height of summer, a short drive offers a choice of 3 fabulous Rome tours from the cool hilltop town of Tivoli, down to the coastal ruins of Ostia Antica or the Etruscan burial grounds of Tarquinia to the northwest. Tivoli, just 22 miles from the center of Rome, is world famous for two villas; the ancient Roman pleasure palace of Hadrian’s villa and the 16th century Villa d’Este, renowned for its terraced gardens and profusion of fountains. Romans have flocked to Tivoli for centuries to enjoy the fresher temperatures and to admire the splendor of Roman and baroque architectural excesses. Emperor Hadrian was an accomplished architect designing a sprawling complex of gardens, open-air dining rooms, temples, fountains and buildings inspired by his extensive travels. 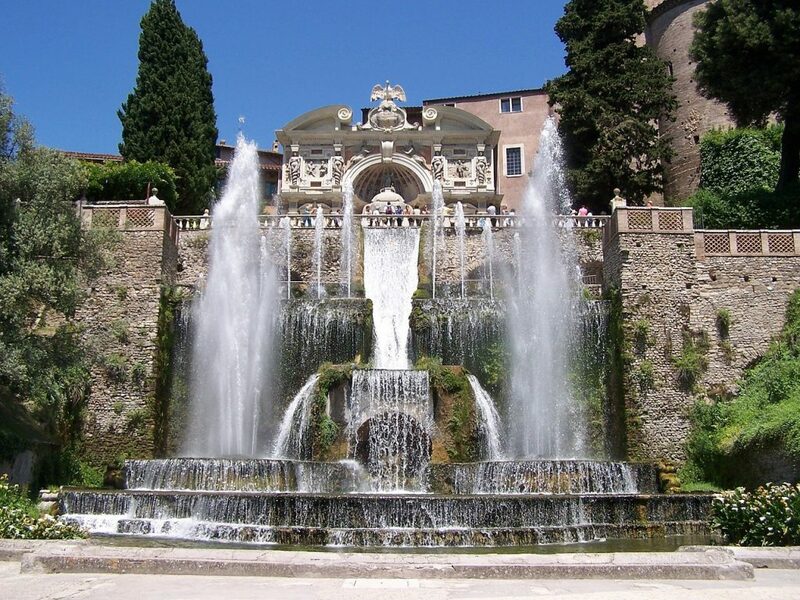 And nearby Villa d’Este was no less restrained, with breath-taking water gardens, cascades, fountains, pools and ponds. Designed by the fabulously wealthy Cardinal Ippolito II d’Este, son of the notorious Lucrezia Borgia, the villa grew out of a 13th century convent in the center of Tivoli town. And whilst the villa itself was relatively modest, the hillside gardens, including around 500 fountains, grottoes and even a miniature model of Rome, were spectacular. If you’re there when the plumbing is tested to full force and the jets are shooting high into the azure Italian skies you’ll catch a glimpse of Villa d’Este’s old glory; it must have been magnificent. 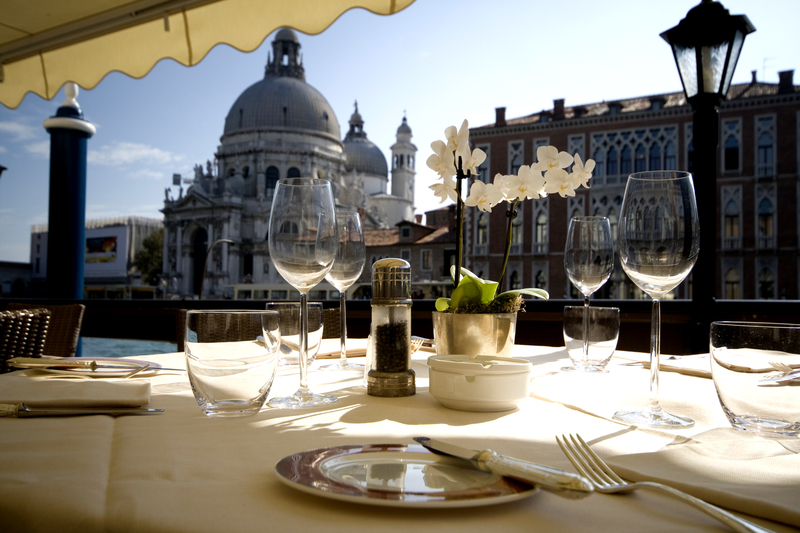 Alternatively head to the coast to stroll through the streets of an ancient Roman harbor. But this isn’t Pompeii, it’s Ostia Antica, a wonderfully preserved city of built in the 4th century BC in meadows at the mouth of the River Tiber just as it meets the Tyrrhenian coast. Many buildings are still clearly visible with mosaics advertising the delicious food and products on sale in the shops along Ostia’s main streets. Two-thousand year old ruts in the stone paved roads indicate where heavily laden carts ferried goods and travelers between Ostia and Rome. Or you can explore the port’s other wonderful attractions imagining what life must have been like for the 100,000 ancient residents. 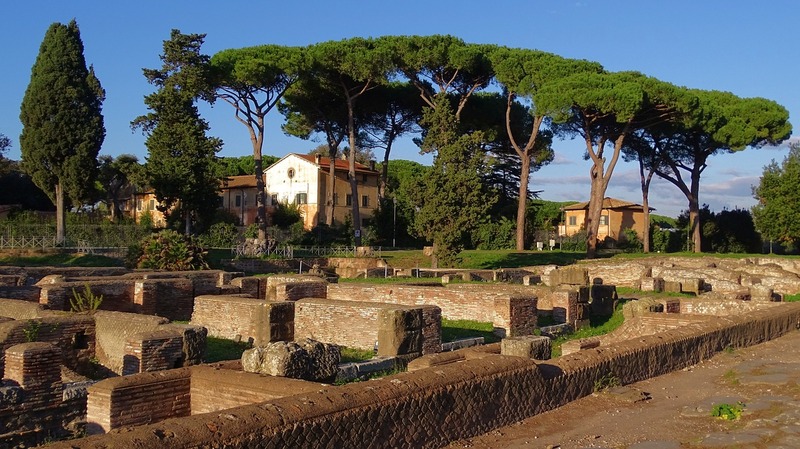 From its communal toilets, to its taverns, theater, temples to Mithras and even the earliest European synagogue, a trip to Ostia Antica is a wonderfully evocative experience and a perfect addition to your Rome tours. 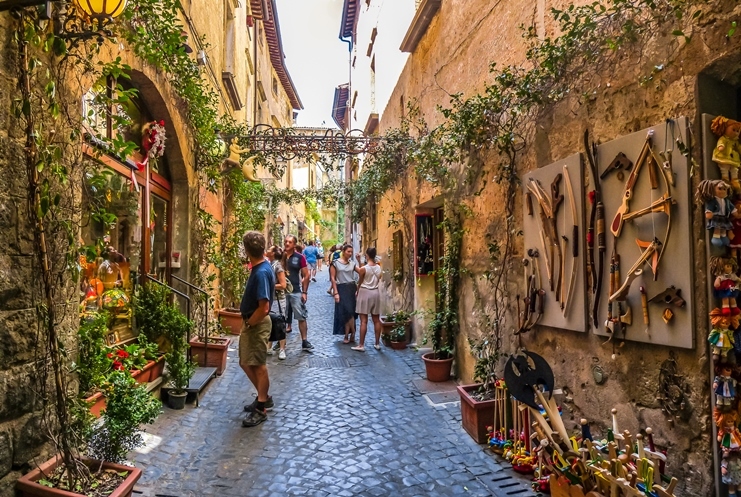 Or finally, if you want a slightly different trip, head northwest out of the city to the UNESCO world heritage site of Tarquinia and the Etruscan tombs to explore Italy’s earliest civilizations. The Etruscan people populated the peninsula centuries before the Roman Republic took hold, establishing many of the most important Italian cities including Perugia, Florence and Milan. Today their legacy lives on through frescoes, ancient city walls and, as in Tarquinia, their ancient burial grounds offering a window back into the Roman Iron Age, some 2500 years ago. Tarquinia’s National Archaeological Museum houses one of Italy’s largest and best collections of ancient Etruscan relics, artifacts and remains. You continue your Etruscan Rome tours with a visit to the Monterozzi Necropolis where extremely well preserved frescoes illustrate daily life, hunting, entertainment and even funereal customs. A visit to the sacred Temple of Ara della Regina, the largest Etruscan temple known and dating back to the 7th century BC is followed up by lunch at a typical local osteria. And finally you stop at the Cerveteri Necropolis, the largest ancient necropolis in the Mediterranean, covering an area of 400 hectares or 990 acres with over 1000 tombs. The tombs date from the 9th century BC and take various forms from pits, to potholes to turf topped tumuli reconstructions of the house of the dead including a central hall, corridors and several rooms. 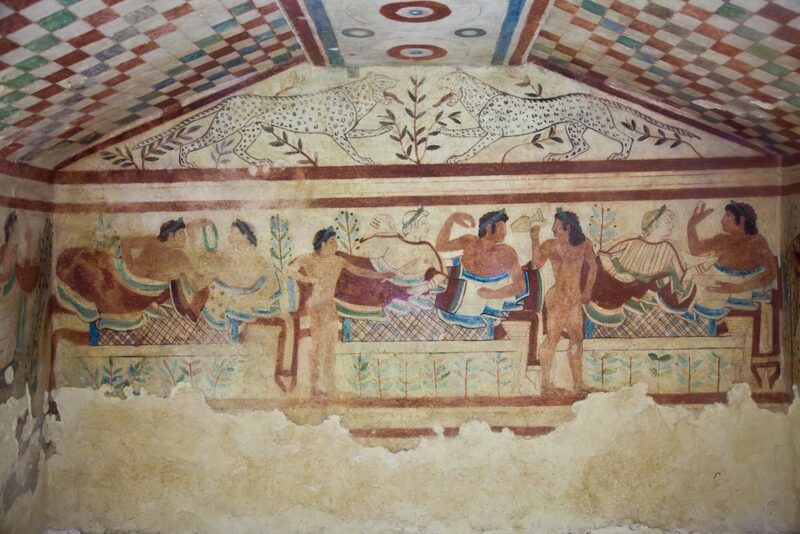 Ultimately, there are few sites that offer a better understanding of old Etruscan beliefs, traditions and customs than Tarquinia and the Etruscan necropoli; don’t miss it! So which Rome tours will you choose? As you can see there is so much more to Rome than just the Colosseum or the Sistine Chapel, magnificent as they undoubtedly are. So next time you’re planning a trip to the mighty Eternal City, make sure to ask our travel experts to book you Rome tours that take you off the beaten track, delving back through time to the ancient beginnings of this fascinating historical city. And in the meantime, leave us a comment with your favorite hidden Roman gems to add to our travel wish list. Buona vacanza, happy vacation!